Discussion in 'Articles' started by Sykikal, Jun 13, 2017. 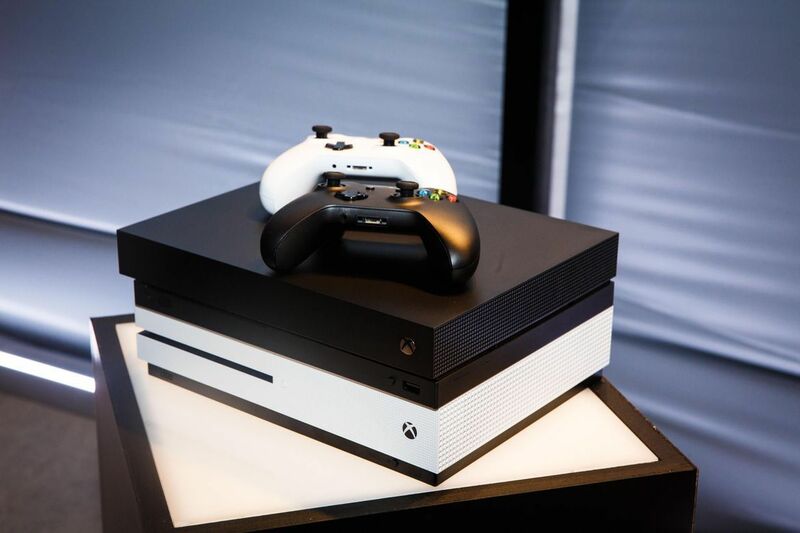 During Microsoft's 2017 E3 press conference, they announced that their improved Xbox One, previously referred to by the code name Xbox Scorpio, was announced and had the official name Xbox One X. The console is scheduled to release November 7th, 2017 for $499. The console has 12GB of GDDR5 RAM, a 6 Teraflop GPU, and an 8 core AMD CPU, making it the most powerful home console when the system is released. The system supports 4k resolution and 60FPS, and it will allow users to stream and record with these settings. Additionally, the Xbox One X is the smallest Xbox console to date. Resembling last year's Xbox One S in size. Also, like the Xbox One S, the Xbox One X supports 4K Ultra HD Blu-ray and 4K video streaming. Several games that are already out are being patched to support 4K resolution. More than 30 games will be receiving updates to play them with 4K resolution. First party games that will be receiving patches include Gears of War 4, Forza Horizon 3, Killer Instinct, Halo Wars 2, and Minecraft. Announced third party games include Final Fantasy XV, Resident Evil 7, Ghost Recon: Wildlands, and Rocket League.